Single Lens 360°, Dual Lens Full 360°, and 3D Stereoscopic 360°. Each camera solution can be tailored to any form factor centered around you and your user's needs. 360fly cameras are certified as Street View ready, allowing you to join the millions of people globally who are publishing their 360° videos and photos from key locations and special places to Google Maps. Being Street View ready means you can simply shoot, edit and share videos and photos directly to Street View from the 360fly mobile applications in minutes. Our algorithm distinguishes where the action is in 360° videos. A software solution developed to help focus viewers on exactly where the action is in real-time, tracking and following the action for you; ensuring the viewers never miss a thing. 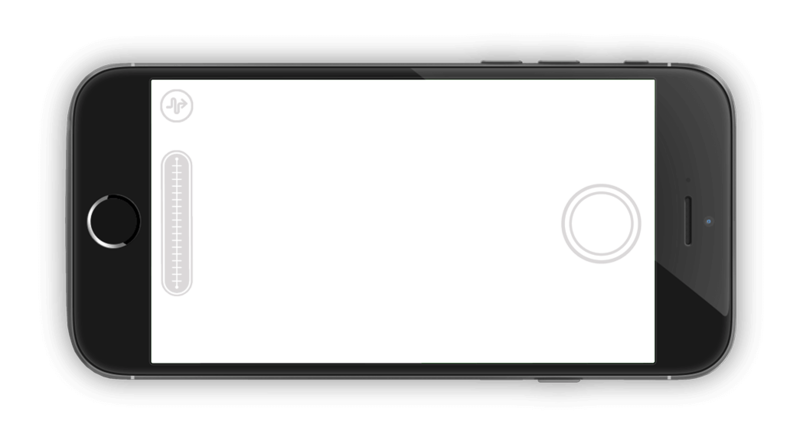 Ability to insert overlay information pulled from the camera's metadata, like GPS maps and a compass dial. Feature adds functionality and deeper context to 360° videos. An overlay of telemetric data can be pulled simultaneously from multiple Bluetooth inputs by connecting the camera with additional sensors, like a OBD II device in your car or a wearable fitness band capturing heart rate. All this information is compiled right onto your video, ready to share with the world. Add specific information about your environment like: traffic, wind, weather and travel/road conditions, or even how big the swells are as real time overlays on the video. Present videos with a whole perspective using 360° GIFs! Perfect for sharing a quick glimpse of your adventure, while still enabling viewers to see around in all directions. Our passion and unrelenting pursuit of innovation has led us to redefine what is possible in video capture, virtual reality, and visual storytelling. 360fly started in a robotics lab out of Carnegie Mellon University. A technology once used for robots has progressed into our fifth generation of 360° cameras we use to capture life's most memorable moments. Some of our most notable firsts are: 360° live streaming from device to device and the first US company to live stream 360° video from a medical operation. However, our sphere of influence goes much deeper. From live NBA games to trending music videos, and acrobatic air shows to deep sea explorations; we've captured it all. Today we're building the next generation of 360fly, pushing the limits of cinematography even further. The questions we ask are often as important as the answers. We distill hunches, problems, ideas, and trends into a clear point-of-view, of insightful connections, which inform and accelerate our development toward meaningful and bold 360° solutions. Working closely with our partners, we design brand building products, leveraging our vast expertise of 360° cameras, virtual reality, and videography. We conceptualize a wide range of bold ideas, but deliver implementable solutions that ultimately turn heads and create deep meaningful experiences. We have decades of experience developing consumer electronics through the production process, with end to end capabilities. Everything from board layout, to master model construction, to supply chain resourcing. Furthermore we have exceptional expertise in 360° camera optics, durability, and waterproofing. Collaboratively we can imagine meaningful experiences which translate to simple and intuitive UI/UX experiences. With expertise in iOS, Android, and desktop applications, we can create a single solution across multiple platforms. This is more than just 360° cameras, this is surrounding users with intelligence. Tailored for each new project, our process is dynamic, results-oriented, and driven by a team fueled by years of 360° experience. Our team provides dynamic thinking while aware of reality, by understanding the needs and constraints up front. We explore and deliver a wide range of implementable yet bold ideas. By rolling up our sleeves and testing our ideas, learning through doing, to gain a deeper insight. We help envision opportunities and accelerate them to market-ready 360° solutions. check out our market solution offerings.